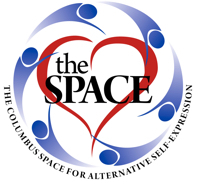 Due to incredible popularity, the group will be hosted in one of the larger rooms at The Space! There will also be two zones this time. The Social Section - visit, chat, kinda like going out for coffee with friends. The Zen Garden - a quiet, peaceful group who are there to recharge and perhaps gently say to their neighbor, "That's a lovely shade of pink, could I use your sharpener please." Stay in one area or visit both and enjoy both aspects. Come relax and join us in the latest stress reducing fun. Great socializing without intense eye contact. Comfortable silences while being creative and calm. The only expectation is that conversations be positive and friendly. This will be a complaint free, gossip free experience. Red Rudolf noses will be on hand for any negativity - Nobody can be negative while wearing a red clown nose. BYOB&C – Bring your own books and crayons....or gel pens, or markers. Or all of the above! Please keep in mind that The Space is an adults only building. $5 per person; Free to Space members.